Interview: Phil Klay, Author Of 'Redeployment' "The wars in Iraq and Afghanistan are as much every U.S. citizen's wars as they are the veterans' wars," says Phil Klay, who served in Iraq. His debut story collection is called Redeployment. "Marines and soldiers don't issue themselves orders, they don't send themselves overseas," says former Marine Phil Klay. "United States citizens elect the leaders who send us overseas." The wars in Iraq and Afghanistan are as much every U.S. citizen's wars as they are the veterans' wars. 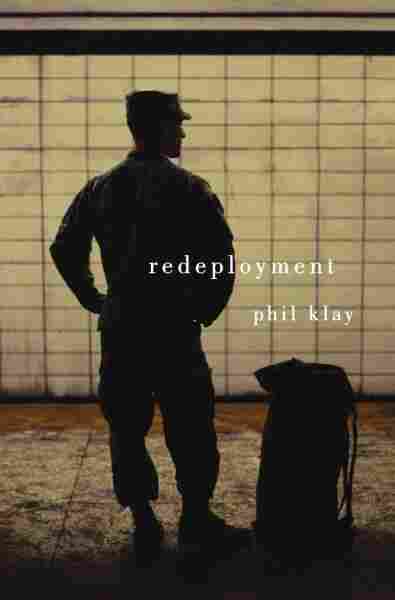 In his new collection, Redeployment, Klay, who served in Iraq, tells a dozen vivid stories about the wars in Iraq and Afghanistan from the perspectives of the people who experienced it — combatants, civilians and children alike. Taken together, the stories give a grim — and occasionally funny — picture of war and what happens next to those who survive it. Once the soldiers return home, Klay says, that dialogue between veterans and civilians is essential. "The wars in Iraq and Afghanistan are as much every U.S. citizen's wars as they are the veterans' wars," Klay tells NPR's Linda Wertheimer. "If we don't assume that civilians have just as much ownership and the moral responsibilities that we have as a nation when we embark on something like that, then we're in a very bad situation." I decided very early on it was going to be all first-person narratives. A lot of times you're interacting with people for whom you're one of the very few veterans that they've met or had a lot of interactions with, and there's a temptation for you to feel like you can pontificate about what the experience was or what it meant, and that leads to a lot of nonsense. I wanted to have very different viewpoints, very different experiences, just so the reader could kind of think about what they were trying to say and how they clash with each other. There's not a single narrative about this war. I don't want to act as though my deployment was particularly rough, because it wasn't. I had a very mild deployment; I was a staff officer. But just a few days before [I returned to the U.S.] I'd seen people coming into the medical facility ... horribly injured. And then a few days later I'm walking down Madison Avenue in the summer and there's just zero sense that we're at war. It's very strange and difficult to deal with the disconnect. And, of course, if veterans just talk to each other about wars, then that disconnect's only going to continue. You know, this is not the World War II generation. We have a much smaller percentage of the population that has gone overseas. But also I think it's important personally — the notion that you can't communicate these very intense experiences. It just means that veterans are going to be isolated, that something incredibly important to them that they went through, something that they can't share, you know, with their friends and family who didn't serve, and I don't think that's true, and I think that that isolation's a terrible thing to feel. What I really want — and I think what a lot of veterans want — is a sense of serious engagement with the wars, because it's important, because it matters, because lives are at stake, and it's something we did as a nation. That's something that deserves to be thought about very seriously and very honestly, without resorting to the sort of comforting stories that allow us to tie a bow on the experience and move on.